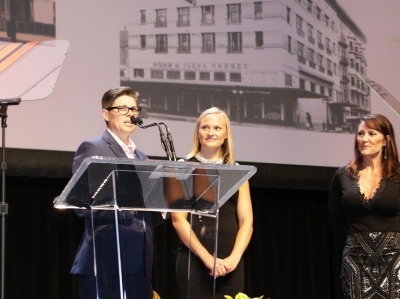 On June 29, staff from West Sacramento-based Brown Construction, Inc. were called to a San Diego Convention Center stage to accept a Gold Nugget Grand Award for The M.A.Y. Building, a beaming renovation project in the heart of Sacramento's historic K Street. Before a ballroom of 700+ industry professionals from around the world, Brown Construction's Fantasia Stensland, who led the construction of the project, along with colleagues Jeannine Long and Stacy Rhodes, accepted the award on behalf of the project team which includes Sacramento-based developer Sutter Capital Group, architect Hausman Architecture, and interior designer Ultimate Designs. 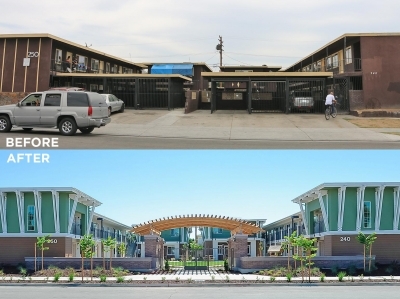 In May 2016, we reported on the groundbreaking of the Lowell Neighborhood Projects in Fresno—two new construction and renovation projects producing 30 new, high-quality, affordable housing units. The Lowell Neighborhood in Fresno has long been blighted, attracting rampant crime in the form of prostitution, drugs, and gang violence. At the groundbreaking, residents, neighbors, and local officials were full of excitement and hope for the new life that the construction projects would bring to the desperate neighborhood. 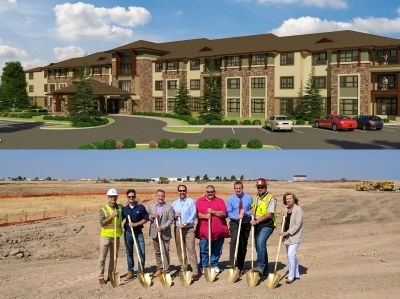 Construction on both projects wrapped up in mid-June and today, the Fresno Housing Authority hosted the grand opening ceremony for the projects now branded Fénix @ Calaveras and Fénix @ Glenn. Where there once stood dilapidated, run-down apartment buildings now stand two beautifully-designed, craftsman-style, high-quality, affordable multifamily housing complexes complete with modern amenities. Brown Construction has long been an avid supporter of workforce development programs in the construction industry, in an effort to remedy the workforce shortage that has become a generational crisis. To this end, our executives and staff have served on the boards of the Sacramento Regional Builders Exchange (SRBX) Educational Foundation and the CREATE Mentoring Program for many years. Each year, Brown Construction sponsors the SRBX Educational Foundation's annual Design-Build Competition. 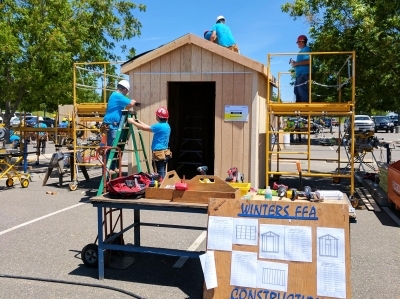 The two-day competition is held at Cosumnes River College and this year more than 200 youth participated on 15 high school and youth program teams. Brown Construction, Inc. was proud to sponsor the Winters High School team by providing the materials they needed to complete their 96-square-foot shed.